"Not now, Ellen is on!" 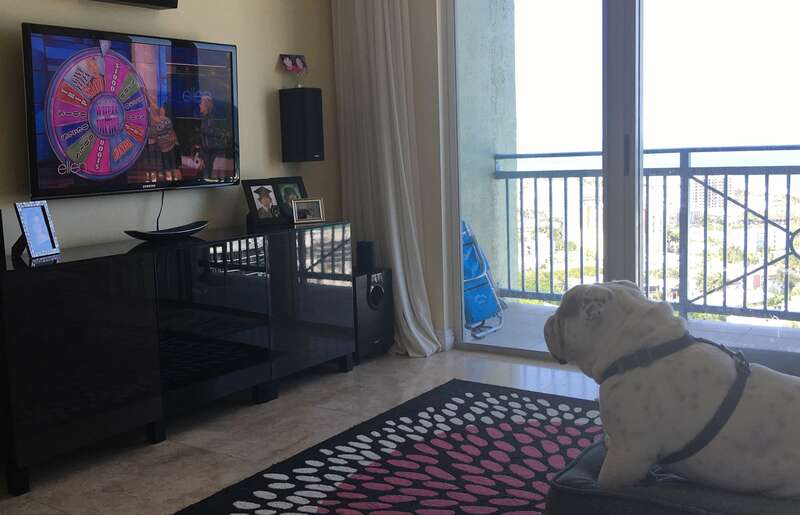 Ozzie the Bulldog loves watching your show! Austin's dream is to dance for Ellen.